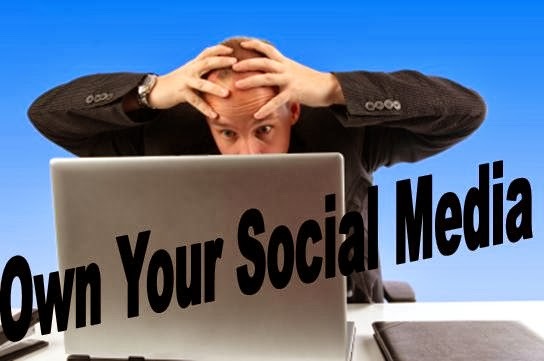 You need to own your social media – be seen; be engaging; be responsive – all in a timely manner! Hello good time management skills and apps that will help you manage the amount of time you are actually spending on social media. The use of social media as a promotional tool will only continue to strengthen over time – Facebook, Twitter, LinkedIn, Google+, Pinterest, You Tube, Blogs to name the most popular are all continuing to expand their services to make it easier and better for you to communicate with your audience. Other sites come and go but the strong social media outlets are continuing to evolve and change. This is the future. Businesses need to get on board. Create a schedule for your posts – what will you post and when? If you have it planned you do not need to think about it and it will be heaps easier for you. Include which site you are going to post what message. There is third party programs that can help with this, Hootsuite is the most popular solution. Content is king –it is all about quality content – content that is engaging and encourages your likers/followers to like, share and comment on your posts. Use pictures for more emphasis. The more engagement you have on social media the stronger your web presence will be. Create call to actions to have people flow back to your website or onto your newsletter. This way you can actually measure the success of posts and also particular social media. Many sites have terrific insight data that give you a snapshot (and sometimes very detailed) look at your followers and how you are interacting with them. Make sure you review this regularly. Increasing traffic to your website will in-turn help to increase your search engine rankings!